Each time you feel the warmth of the sunrays on the rooftop or courtyard, it reminds you of a natural energy source is always there for the hot water and space heating needs at your home. It is available in an unlimited amount and at free of cost! You may be aware that it is possible to convert sunlight into electricity using the solar panels, but it may feel shocking & interesting for you that the same can generate heat energy for solar water heating and space heating. Solar water heating is a cost efficient technology in use to produce heat energy in abundance for your domestic or commercial needs. It will save money on utility bills which will ultimately pay for the SWH installation cost. Selecting the best solar water heating system may not be easy without proper knowledge; it is recommended to seek for a specialist’s help, who has experience of installing the SWHs and providing quick consultation on them. There are two widely used varieties of solar water heating systems available for your choice. A Passive solar water heating system does not require any pump induced energy but, the natural gravitation force to help the water circulate from collectors to the tank. It has less number of mechanical parts, reduced maintenance/servicing cost and low expenses for initial setup. Whereas an Active solar water heater is a more expensive, yet energy efficient type having pumps and controls to aid in the process of water circulation. Evacuated-tube collector: the transparent and energy efficient glass tubes arranged in rows with little scope for heat loss from them. Integral collector or Batch collector: a system made of single or multiple tanks or tubes kept in an insulated box for long term water storage. It does not fit cold climates due to the risk of freezing pipes in heavy cold condition. While looking to pick up the best SWH for your home, you need to review the solar water heating systems from all angles. It is the geographical region, climate condition and your home’s position that will be crucial in deciding which solar heating system will be perfect for you. An indirect circulation system uses a heat exchanger to transfer heat into the water storage tank from a nonfreezing fluid circulating in it. This kind of system suits the very cold regions where the temperature may fall drastically to cause the pipes freeze at any time. A direct circulation system uses pumps to let the water circulate through the collectors and then flow back into the storage tank. They function well in mild climates where there is no risk of temperature going below the freezing point. A thermo-syphon passive system makes the hot water rise from the collector to the crest of a tank without the use of a pump. In this case the collector is fitted underneath the storage tank to make use of the natural gravitational force. An Integral collector-storage passive system assembles hot water in storage tanks or tubes that are placed inside an insulated box and fits the best in mild weather conditions. An apparent problem in using solar energy is the lack of control on the weather. If you reside in a dark and cold area with only a few sunny days experienced in a year or there is no south facing roof in your residence then the solar water heating may not prove to be as effective as it should. If all these details can’t eliminate your doubts or confusion, don’t feel worried at all! Solar water heating systems have been in use for a long time but are not extensively used everywhere, therefore asking for advice and guidance from 123 Zero Energy would be a worthy step to take before looking to invest in one. To ask your query regarding solar water heating systems or their prices, 123 Zero Energy can be visited online or contacted over phone at 1-800-317-9054! Are you looking for an alternative energy solution with low consumption and budget? Then, a solar grid-tie kit can be just what you need. But how do these solar systems operate, and what makes them so affordable energy solutions? What is a Solar Grid-Tie System? A grid-tied solar system is designed to work in conjunction with the grid, providing power supply while offsetting the cost thereof. The system uses a grid-interactive solar inverter – which feeds alternating current (AC) into the grid. This means any excess powered can be delivered to the transmission grid. In fact, the standard power from the grid can be utilized to make up for any kind of power shortfalls. 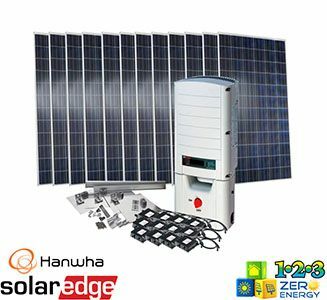 Why Do You Buy Grid Tie Solar Powered Kits? Solar Grid-tie systems are easy to install and are more cost-effective than stand-alone systems and the systems with battery backup. It’s because of the fact that the system operates using fewer components and the sizing of the system is not dependent on the electric board. While battery backups are perfect in areas that are prone to power outages, a battery is an expensive component of a solar-powered kit. But it’s far more cost-effective to install a solar grid-tie system with only the essential components. They can be used both for residential and small-scale commercial application, generally in urban and suburban areas. Solar powered grid-tie systems are growing in popularity and are fast approaching grid parity. This means the cost of a kilowatt hour (KWH – a unit of electricity) generated by the AC (Alternating Current) source is equal to or less than the cost of a kWh bought from the grid. Reaching the grid parity is the point where the renewable energy source stands out as a candidate for widespread development. How Do You Buy Grid-Tied Solar Kits? 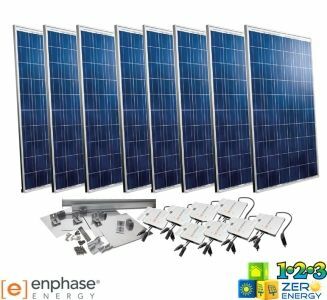 123 Zero Energy has an extensive selection of solar powered kits including solar grid-tie systems best suiting client’s needs and preferences. This makes it a lot easier than ever for customers to find their perfect kit that best fits their requirements and works well within their budget. Our solar grid-tie systems use a DC inverter instead of batteries to convert the electricity to AC (Alternating Current). Then, your home can use this energy but if it has a surplus, the energy starts flowing outside the house to the grid. 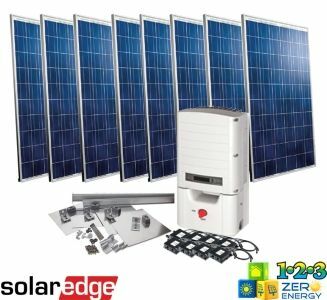 For more information about our solar powered energy solutions, please make a visit to our website at https://www.123zeroenergy.com/.